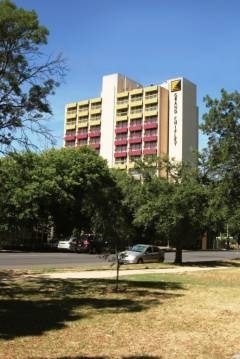 The Grand Chifley Hotel Adelaide is situated overlooking the South Terrace Parklands and is minutes away from the Central Business District of Adelaide. The accommodation offers 138 luxury guest rooms and suites with a contemporary layout and personal balconies for a pleasant and relaxing stay for the business and leisure travellers. The accommodation offers a host of room facilities, like self controlled air conditioning, mini bar, internet access, pay per view movies, safe in room and tea amp; coffee making facilities. 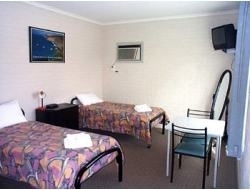 The Grand Chifley Adelaide Hotel also provides guests with 24 hour reception, business support services, children's playground, on-site complimentary parking, wireless broadband internet, currency exchange, tour desk, self serviced laundry facilities and room service. Guests can enjoy the dining options offered at the Grand Chifley Adelaide's Zouk Restaurant and Bar. The hotel also provides function rooms with the latest technology for conferences, weddings or events. The beautiful city of Adelaide is well-known for its structural designs and has many tourist attractions such as the Adelaide Hills, the Art Gallery of South Australia, the Adelaide Oval cricket ground, South Parkland's traditional Japanese gardens, China Town and Adelaide's Central Market. The beautiful seaside suburb of Glenelg is also in close proximity to the Grand Chifley Adelaide Hotel. 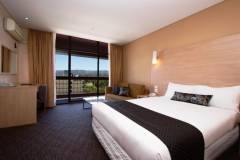 Grand Chifley Adelaide is entirely a non-smoking hotel and is just 6 km from the Adelaide airport. 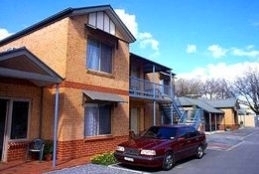 Gurny Lodge is located in a PRIME LOCATION on an beautiful residential street in the heart of North Adelaide. Just a short walk to Adelaide's fantastic O'Connell street that boasts fine dining, great shopping, live entertainment and family friendly restaurants. Lets not forget to mention the collection of great bars all within walking distance. 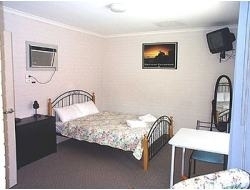 Gurny Lodge is literally 200m from public transport and walking distance to hospitals. Local attractions that are also within walking distance include, The Adelaide Zoo, universities, aquatic centre, Adelaide Oval, Rundle Mall, cinemas and shopping outlets. A Historic two room Cottage in magnificent Stanley Street! Only a short stroll from the many cuisines Melbourne Street offers! 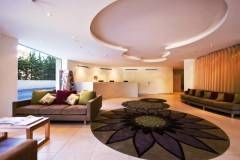 The Hotel Grand Chancellor is a true Boutique Hotel in Adelaide. This uniquely restored Neo-Georgian property, reminicent of the grand mansions of yesteryear, mixes traditional charm with contemporary elegance. 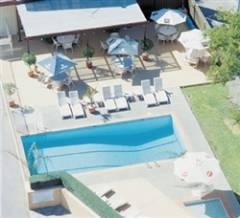 The Grand Chancellor Adelaide hotel offers a mixture of an old charm and modern design. Suitably located in downtown Adelaide, the Grand Chancellor Adelaide Hotel (formerly known as Holiday Inn) boasts 180 rooms, including 40 suites. The rooms in the accommodation are all non smoking and equipped with satellite TV, mini bar, work desk, pay per view movies, self controlled air conditioning and tea amp; coffee making facilities. The Suite amenities offer bathrobe, kitchenette, microwave oven and dining table. The Grand Chancellor Adelaide Hotel also offers premium hotel facilities like 24 hour reception, room service, tour booking desk, foreign currency exchange, secretarial services, indoor heated swimming pool, spa, gym and 7 conference rooms. Overlooking Hindley Street, is the Sebastyan's Bar, a perfect place to sit back and enjoy a quiet drink after a long day. The bar also offers wireless broadband service. The Le Vine Restaurant in the Grand Chancellor Hotel Adelaide serves a wonderful ambiance for enjoying a sumptuous dinner from their extensive menu. Within walking distance of the Grand Chancellor Adelaide stands the famous Adelaide Convention Centre, Adelaide Sky City Casino, Adelaide Oval, the Art Gallery of South Australia, Adelaide Botanic Gardens and the Festival Centre. Guests can also visit the well-known Barossa Valley renowned for its wine or the Southern Vales region. Built in 1883, the Hotel Metropolitan has been trading as a pub ever since. Located in the heart of Rundle Mall Hotel Richmond is Adelaide's original boutique hotel. Featuring just 30 guestrooms and suites in a grand Art Deco building it offers an inspired mix of style, comfort and modern facilities. The spacious restaurant and lounge, quot;firstquot;, offers an array of space to work or relax in. All day dining is available as well as complimentary broadband wireless access for guests.